Where there’s great soup. There’s great salad. Most New Yorkers’ know that Hale and Hearty hits the spot for a fantastic variety of soups and sandwiches. But no one seemed to be aware that they made healthy (and tasty) salads as well. 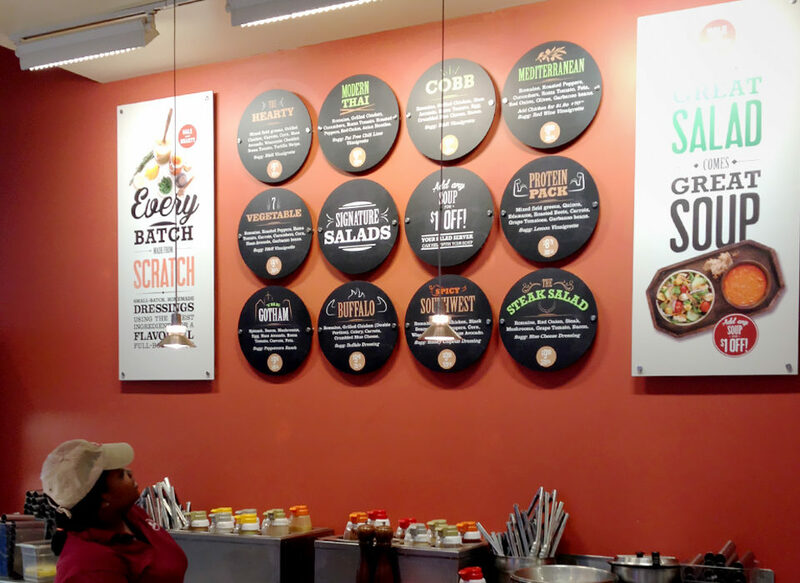 Salad-only eateries around new york, meanwhile, have been booming! 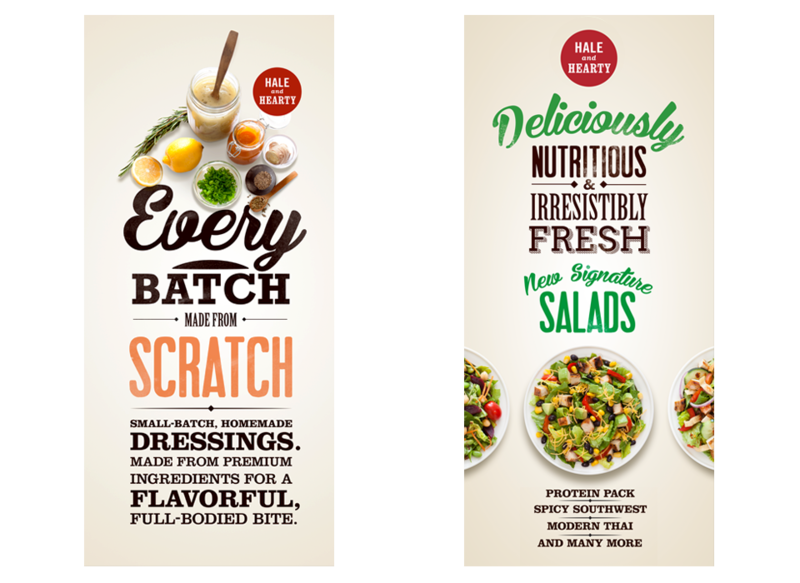 Big Idea created an in-store promotional campaign to make sure to encourage people to try a Hale and Hearty salad, with new signage, advertising and salad-of-the-month promotions–All with the same fun and quirky attitude we’ve come to expect from Hale and Hearty. The bold store windows around the city have been hard to miss. Hale and Hearty opened it’s doors in NYC in 1996 and now has more than 30 locations and growing. So check out your nearest Hale and Hearty. Soup or Salad? That’s the idea.